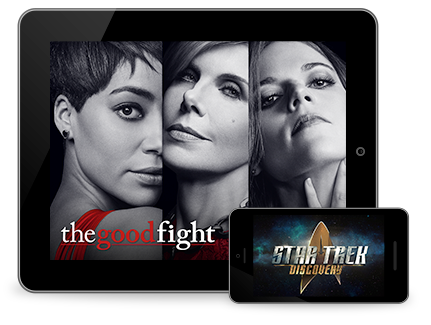 CBS has quietly expanded the scope of its streaming and on-demand TV service, its own competitor of sorts to Hulu, to now include movies. The lineup at launch is fairly small with just 18 films becoming available, on top of its existing library of 8,500 on-demand episodes of current shows, prior seasons and classic shows from the network’s archive, as well as its CBS All Access original programming. The movie selection includes a selection of “Star Trek” films, plus other titles like “Up in the Air,” “Election,” and some older movies, like “Funny Face” and “Rosemary’s Baby.” The titles were licensed from Paramount, the company tells us. However, CBS says that it plans to add more movies over time, as the service grows. The company’s streaming strategy so far has been to hold out on selling its content to larger, more popular services like Netflix and Hulu, to instead offer its programming on its own subscription product it calls CBS All Access. The trouble with that strategy is that CBS only has a handful of top shows – like “The Good Wife” or “Big Bang Theory,” for example – when compared with how many quality shows are available on a rival service, like Netflix. And CBS won no Emmys last year for its programming – just a few “Creative Arts” awards – while Netflix and HBO cleaned up. Asking cord cutters to pay for yet another subscription just to watch a couple of good shows is a steep request, especially when there are other ways to buy those TV seasons as a one-off – like through Amazon or iTunes. Plus, several seasons of “The Good Wife” are included with an Amazon Prime membership, which makes CBS’s own subscription service less compelling. But CBS has been expanding its focus beyond just what it’s airing on TV to round out its service for cord cutters. It recently wrapped its first scripted original series, “The Good Fight” – a spinoff of “The Good Wife,” which was met with praise from critics. And of course, CBS All Access will be the exclusive home in the U.S. to the upcoming new “Star Trek” series, arriving this fall, that should attract a good-sized audience of “Star Trek” super fans. The hope is that the millions of existing fans will be willing to pay for CBS All Access primarily to be able to watch this one show. And once there, CBS is thinking about how to engage them in its service more broadly, as well as how to keep them around when the show is in between seasons or when it wraps. In a recent interview, CBS said there are 20 million U.S. households without a cable TV subscription – the market it believes it can convince to try its streaming product. However, for that service to be worthwhile, it needs to have a mix of content – meaning, more than just TV. 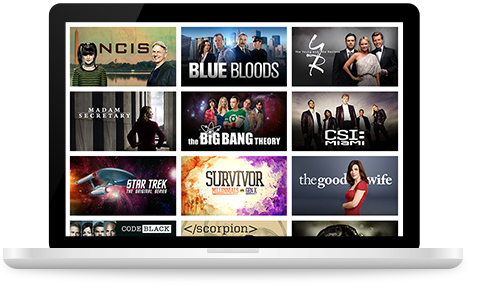 In addition to TV shows, CBS All Access Originals, and now movies, CBS’s bet on live streaming TV means its viewers can also watch live events, including sports, through the CBS All Access service. Live TV is an area where many of the newer live TV services are now competing for viewers, including Sling TV, DirecTV Now, PlayStation Vue, YouTube TV and soon, Hulu live TV. The movie lineup at present is fairly unremarkable compared with the vast selections on Netflix and Amazon, but it signals CBS’s intent to be more than just a port of CBS television content to an over-the-top offering. CBS didn’t officially announce the addition of films, but the blog Cord Cutter News spotted them in the app. CBS confirms that they are indeed new, and hit the service on Thursday. The company would not say how often it plans to add more movies, but its focus at launch is bringing the films to those who are watching on their iPhones and TVs. Initially, the movies will be available on iOS and Windows mobile devices and tablets, plus Roku, Xbox, PS4, Android TV, Amazon Fire TV and Chromecast. In the coming weeks, they will also arrive on Android (mobile) and Apple TV.